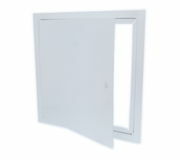 Our most popular access door with one-piece frame is the standard for the industry. The attractive 16 gauge one-piece frame provides 100% clear opening with superior strength, rigidity and true square shape. 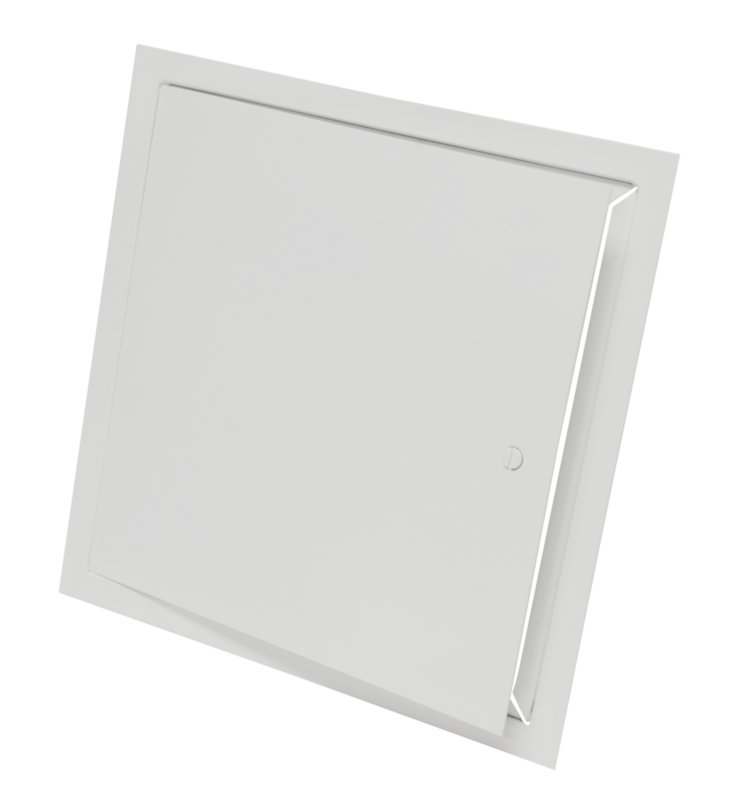 The 16 gauge door panel is mounted to the frame on concealed spring hinges that open to 175 degrees for complete access without allowing the door to impact the wall. For easy opening the cam latch release mechanism moves the edge of the door panel outward to provide a fingerhold. Available in brilliant white, stainless steel and galvanized steel. 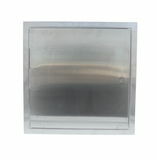 Optional primed colors also include grey powder coated steel, gold sand and jet black. ** One cam lock center at top and bottom panel; balance on side opposite hinges.